Though the above video is slightly NSFW, Eletrunks are not a dirty or obscene pair of underwear. At all. The company's demo of their functional, comfort-enhancing, package-adjusting Lifter cord just makes it look like some dude is puppeteering his balls into answering "Yes" to the question, "Should we find someone to get naked with later?" on a constant 3-second loop. Which may not be the most appropriate thing to watch on your 27" monitor at work. 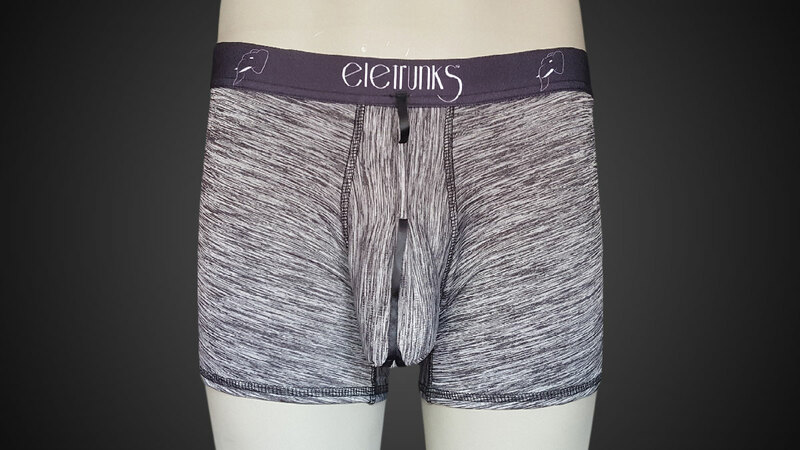 It would, however, be very appropriate to wear your own pair of Eletrunks at work so you can verify these boxer briefs' mammoth promises that they will: 1) keep your crotch cool and chafe-free; and 2) give your hand the power to Lifter your nuts & bolt, readjusting them without digging around below the belt. 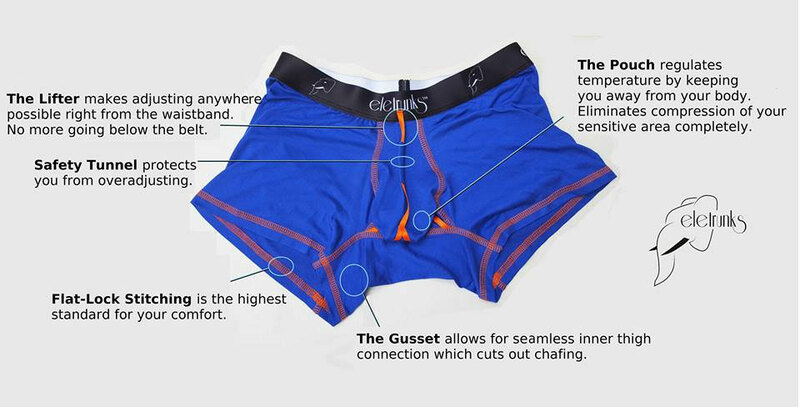 The Eletrunks Lifter begins about midway down the briefs' waistband and extends to just underneath an outset pouch that holsters and cradles your goods. There the Lifter cord splits into 2 sewn-on branches that provide additional support. At its mid-length the Lifter runs through a "safety tunnel" that prevents overadjusting when you tug. Confining your calls & bock to the pouch, away from the rest of your body, helps to regulate temperature and eliminate compression. Eletrunks are all made in Brooklyn, NY, and come in: Ninja Black; Gray(s)kale; FITspiration Blue; The Tuxedo; and the best color ever, Ron BurgUndies.